The Message Service application is the main background application of INS. It runs continuously in the background of a Server and handles all communication requests to and from the outside world. 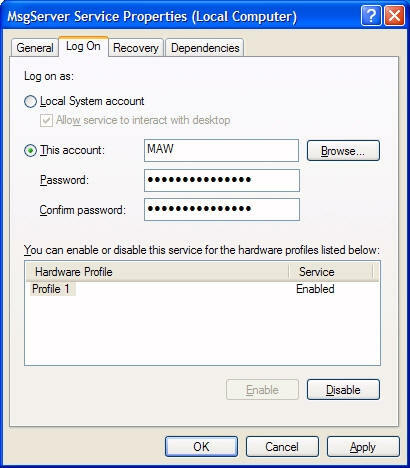 The actual process is called MsgService.exe and may be configured as Windows service for security purposes. The configuration setting under advanced defines how the service is started. If you let MsgService run inside of MsgServer, then it runs as normal application. Otherwise it will run as Windows service and will be controlled by the Windows Service Manager. If you run the designer cell Run VBS code, the external WIndows Script Host wscript.exe will be called. Please note that if you use the VBS code to access Excel, MSAcces or any other application, the security context under which the MsgService runs will be used to start those applications. 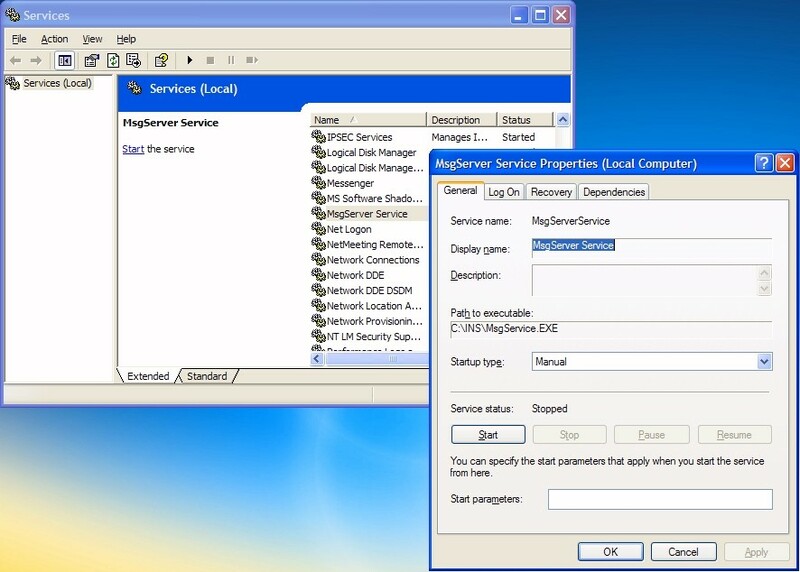 Therefore if you want (need) to start those external applications under a particular user you need to change the settings of the service accordingly and start MsgService. If you leave the default "Local System account" MsOffice installations will require a short installation before running for the first time under this new user account. On the contrary if you want to display message boxes inside your VBS code, then you need to choose the "Local System account" and enable the option "Allow service to interact with Desktop". It is also very important to make sure that the script you are using (and the application that is called) does not display any blocking message boxes, as those are not displayed in the service and the script may block waiting for the user input. 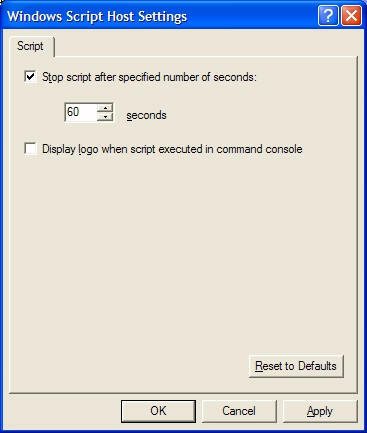 To ensure that a script does not block, we recommend to start the Windows application wscript.exe manually and set the setting for "Stop script after specified number of seconds" to a reasonable value. Like this the script is stopped by Windows and does not block future calls.